Michele Matthai is director of culture of inclusion at Rockwell Automation. In this role, Michele has led significant efforts to transform the organizational culture and embed inclusion into business processes to create meaningful results and lasting change. The success and impact of the Culture of Inclusion Journey earned Rockwell Automation a Catalyst Award in 2017. Michele joined Rockwell Automation in 1994 as an electronics buyer. She held positions of increasing responsibility and transitioned her career to HR strategy and talent management in 1999. During a short career hiatus in 2006 to focus on her family, Michele started a consulting practice centered on coaching and facilitation. 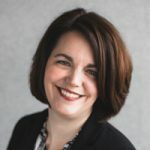 She became engaged with the culture of inclusion work at Rockwell Automation as an external consultant in 2008 and project managed several aspects of this initiative leading up to her return to Rockwell Automation in 2015. Michele has an MBA from Marquette University and bachelor’s degrees in international relations and political science from the University of Wisconsin-Madison.